Founded in 2013, Forbes & Lewis are a couple team from which their name was derived (Samuel Lewis Windridge and Katie Forbes). Their fashion design fascination began at a young age. Identifying a gap in the market for durable, well-designed bags at entry-level luxury prices that withstand the test of time, they launched their now famous designs. While many of their design sketches start on a piece of paper or a napkin, a series of technical designs follow with appropriate specifications. Forbes & Lewis supervise every step of production, and they pick their partners and associates very carefully. They want to ensure they are working with ethical suppliers who are also environmentally conscious, and who they can trust to maintain their high standards for quality products. Many F&L products are unisex, so they can be enjoyed by everyone in the household. Their minimalist design approach is imbued by a strong direction and modest sophistication. Discrete details, unobtrusive pockets, small embossed logos in subtle locations, long carry handles, clean silhouettes, a mindfulness not to overcomplicate the design and a superlative simplicity are all signature F&L properties. ​not to overcomplicate the design and a superlative simplicity are all signature F&L properties. ​The Oxford Holdall is inspired by the university of Oxford. Styled on a traditional holdall bag this modernised shape is elongated in height for the modern traveller and is the perfect bag for weekends away or longer trips globe trotting to new destinations. - Waxy Buffalo leather gets even better with time! ​This stylish holdall is perfect for weekends away with its simple and understated design. ​The Somerset Holdall is inspired by weekends in the countryside and travelling. This traditionally styled weekend holdall is perfect for those nights spent away from home. Forbes and Lewis strive to create high quality bags that are affordable and will last for years. You'll love their style and durability. You can't go wrong with any of the options featured below. These durable messenger bag by Forbes and Lewis will take you wherever you need to go. Carry them to work, school, meetings, etc. Quality leather and materials won't leave you disappointed. ​The Wiltshire is inspired by the British countryside. Timeless design and quality materials bring this bag to life. ​The Cara Cross body bag is influenced by the classic postal bag shape but modernised and refined for the modern woman. Made from cow leather with a grain and finished with quality leather strap belting. 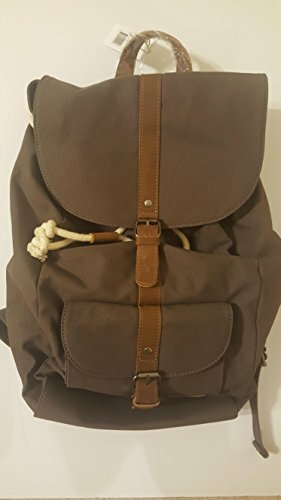 Backpacks can be used as handbags, diaper bags, while hiking, camping, canoeing, etc. ​ These quality backpacks by Forbes and Lewis are ready to take on any adventure with you. You'll love the durability of these backpacks, too! ​The Lincoln backpack is inspired by the county of Lincolnshire (UK). ​- Waxy Buffalo leather gets even better over time! Forbes and Lewis only designs bags that they would personally be happy to use themselves. They want you to be able to travel in comfort and ease wherever you go and whatever you are doing. ​Forbes and Lewis strive to create high quality bags that are affordable and will last for years. You'll love their style and durability. You can't go wrong with any of the options featured below.